Brilliant red flowers and lush green foliage with a shrub-like, compact habit. Flowering from spring through to autumn. Evergreen. Drought, coastal and heat tolerant. Hardy. Will climb only if trained. Long flowering period. 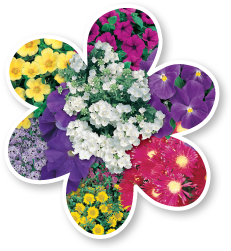 Great for gardens, hanging baskets, containers and trellis. Height to 3m and width to 1m. Keep soil moist throughout summer. Frost tender. Cut back to desired shape after flowering. CAUTION: Harmful if eaten.